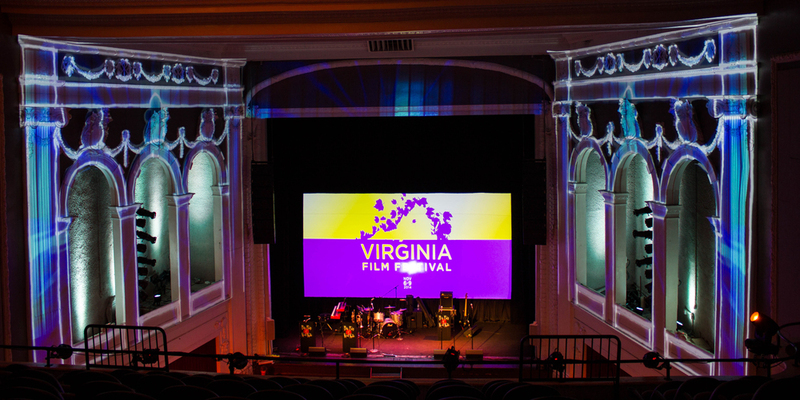 For last year's Opening Night Gala to kick off the Virginia Film Festival, we took it up a notch using some new tools. 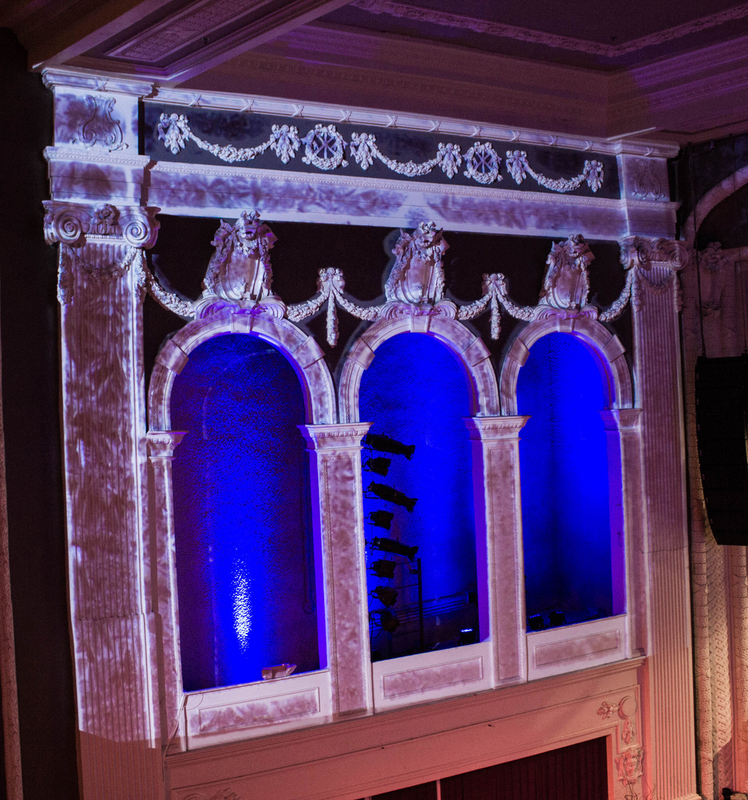 The goal for this event was to capture the essence of the setting for the festival's opening film, Big Stone Gap. 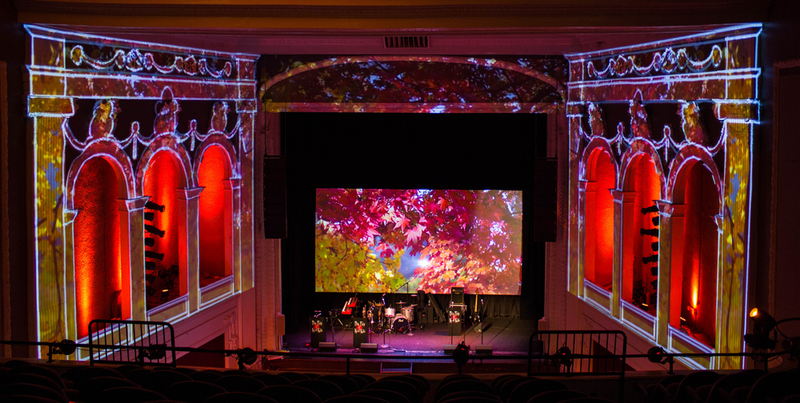 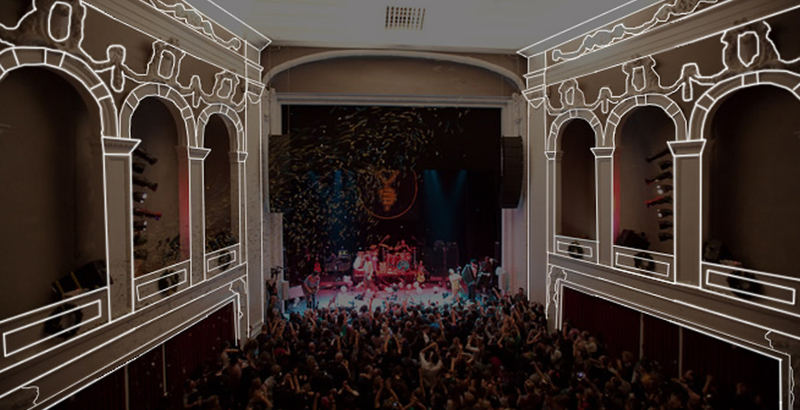 We decided to do so by mapping the interior of the Jefferson Theater with projected video and illustration! 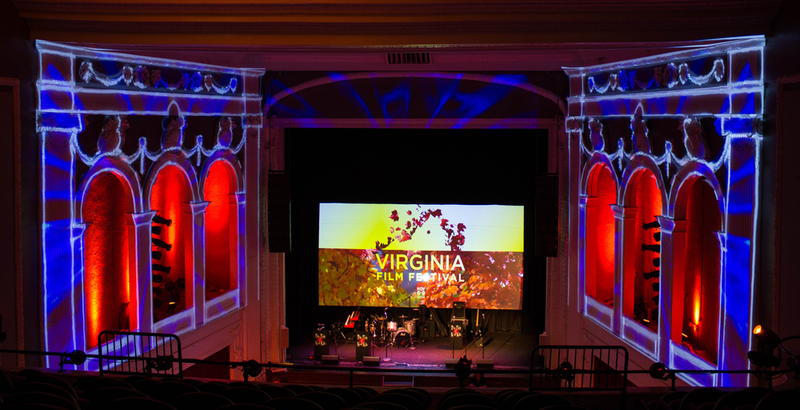 We utilized autumnal imagery that depicted some of rural Virginia's natural surroundings, as well as some geometric animation for a change of tone as the event went on. 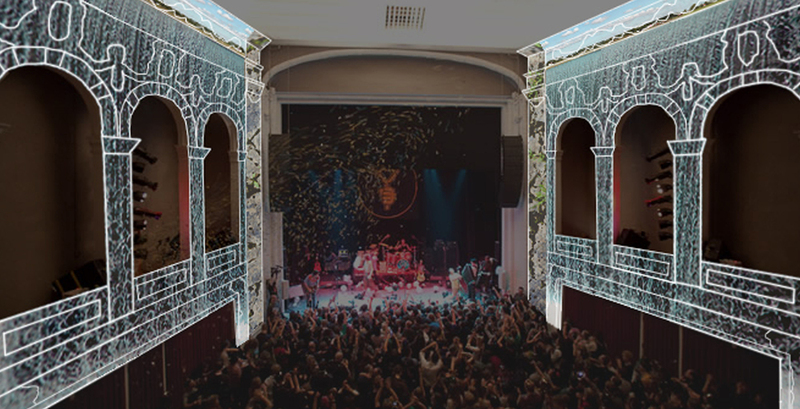 We also made sure to highlight the architectural features of the space that make this venue so unique.